This site is located in Philippines. The production line consists of vibrating feeder, jaw crusher, cone crusher, vibrating screen and sand washing machine. The whole process takes advantages of advanced technology, high efficiency and large capacity. 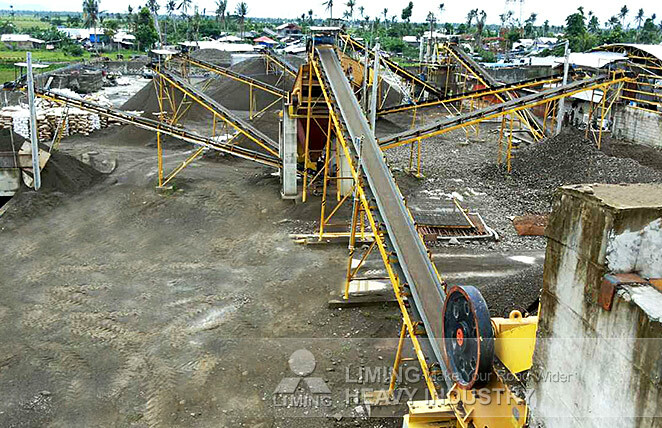 Jaw crusher and cone crusher crushes river stone primarily and secondarily. The final size is 0-3/8, 3/8-3/4, 3/4-1, 1-2, 0-3/4 inch.